We all have our fears. Heights. Spiders. Clowns. Zombies. But few of us can ever imaging finding ourselves in Paul Conroy’s situation. Paul (Ryan Reynolds) is a truck driver contracted in Iraq. His convoy was attacked. When he awoke he found himself lying down in the dark. 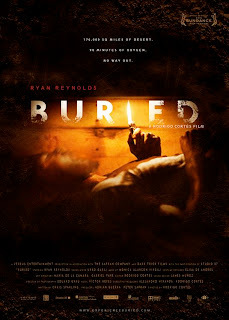 He finds a lighter and discovers he’s trapped in a coffin buried underground. He doesn’t know where he is or how deep he’s buried. He finds with him a cell phone, a lighter, a flask, a pocket knife, a flashlight, and a couple glow sticks. Paul uses the cell phone to call for help. Nobody answers and those that do either aren’t helpful or fail to listen. Paul becomes very afraid and frustrated. Can he get out on his own? If not, can anybody help him? And will the one responsible for his situation go after his family if a ransom isn’t paid that night? This year Natalie Portman may win all the top acting honors for her role in Black Swan, the most critically acclaimed film of her nearly two-decade long career. 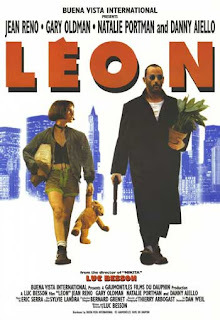 By coincidence, I recently got around to finally seeing her very first film Luc Besson’s Léon, also known in the States as The Professional, from 1994. I thought it’d be worth taking a look at this film and how far its young star has come since. In case you don’t remember, Léon opens with an incredible action sequence wherein a man comes out of nowhere and quickly takes out a dozen goons until he silently sneaks up way to his target, putting a knife to his throat, only to disappear into the dark. 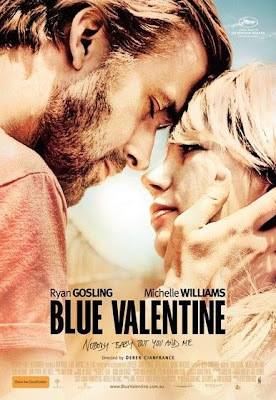 In Blue Valentine, we’re given a non-linear look at a marriage between two worn-out love birds played by Ryan Gosling and Michelle Williams. We see both the beginning and the end of the relationship. Yes, the relationship ends. We know the end is on the horizon after watching the film’s first few minutes wherein these two are so emotionally removed from each other they might consider themselves as roommates more than life partners. No, this isn’t another fairy tale love story where the leads banter, cuddle, fight, make up, and live happily ever after. Thankfully, this is something quite different, an honest examination of what happens when two people rush into a lifetime of happiness before allowing the time to get to know each other. 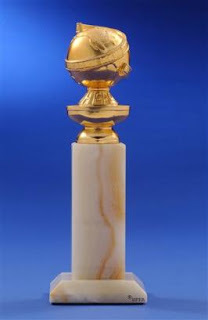 The 68th Golden Globe Awards were held early Sunday afternoon, the first major movie awards ceremony of the season before the Academy Awards. It proved to be a night of fewer surprises and injustices as compared to Globes of years’ past. Below is a rundown of the film categories, their winners, and my brief thoughts. Let’s begin with Best Foreign Film. As host Ricky Gervais put it with such funny-‘cause-it’s-true frankness, it’s “an award nobody in America cares about.” I generally find that to be a sad fact about American audiences, but in this case there wasn’t anything to really cheer for. The year’s notable hits The Girl with the Dragon Tattoo and Mother were snubbed, while A Prophet, released in the States early in 2010, was a nominee last year thanks to its releases throughout the world. This left us this year with a list of films few American moviegoers are aware of. The Dutch film In A Better World took the prize. This is the final announcement! The day is finally upon us. The Gibson Revue: Winter Marathon, an event that demand and interest generated from last summer's movie marathon has inspired and been in the works ever since, is about to arrive. This season the marathon will feature three love stories that are tied together by being from the male perspective, as well as other similarities. Each film will be followed by brief audience/host discussions and breaks. ﻿Please RSVP at thegibsonreview@gmail.com or on Facebook as space is limited to just you special readers. Three love stories from the male perspective with brief audience/host discussions and breaks after each. ﻿Annie Hall - Can you be neurotic and in a happy relationship? The film Roger Ebert calls "everybody's favorite Woody Allen film", starring Woody Allen and Diane Keaton. 1hr. 33mins. Eternal Sunshine of the Spotless Mind - Have you ever wished you could erase a former lover from your memory? From the neurotic mind of Charlie Kaufman, screenwriter of Being John Malkovich, starring Jim Carrey, Kate Winslet, and many other great talents. 1hr. 48mins. (500) Days of Summer - Have you ever been dumped by someone you love and never saw it coming? Starring Joseph Gordon-Levitt and Zooey Deschanel. 1hr. 35mins. With the beginning of a new year comes a month of movies that are either terrible or were previously released to a limited number of theaters to qualify for awards season and are only recently widening its reach to a theater near you. Many of the latter may contain a subject or tone as depressing as the quality of the former, thereby scaring off many moviegoers. 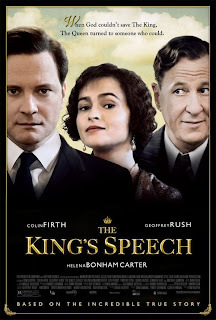 One film that defies all that is The King’s Speech, a film that deceptively appears to be a stuffy period piece but is actually a charming crowd-pleaser. And it just so happens to currently be listed alongside The Social Network as an Oscar favorite.